Greetings and welcome back to Journeys! This month I give you the final part of my series on the 12 Temples – the 9th, 10th, 11th and 12th. Location: The 9th temple is the zone of sky that an object moves into after immediately it reaches the midheaven – it is where things begin to move to the western horizon to set. They have just passed their place of bright, burning power high in the sky for that day and are now in a position to make great discoveries about life. Discussion: The 9th house is the temple of discovery or revelation and its key may be thought of as ‘Lessons in the Awareness of Existence’. Through this temple we become more aware of our existence and thus of our own being and identity – it elaborates on the 1st and 5th temple. It shows our experience of faith or belief, since what we believe becomes the teacher of our self identity, its moral guide and conscience. Meaning is life affirming even when it is bitter to taste and not what we expected it to mean – encountering meaning means we are alive. Even a total nihilist must believe in themselves at some level, in their ideas or in their senses, and likewise an atheist believes in their own belief rather than in just nothing at all. Total absence of belief is impossible because the multiverse is infinite in scope – the human brain cannot be aware of it all at once, therefore it is forced to conjure beliefs to fill in the gaps. The 9th temple shows which ideas (from the opposite 3rd temple) inspire us to ‘look upwards’ into a broader scope and perceive broader ideals or archetypal or essential meaning which we seek to identify self and our life with, meanings which were in ancient times perceived as deities to follow but in modern times are also represented by our beliefs and our faith in a higher and greater law or truth and a sense of adventure in our freedom to roam in exploring beyond the boundary of what we know. It is where we learn though inspirational means about the greater and broader laws in operation throughout our universe and within the Self, and the greater universal intelligences which guide us ever outward. Nothing is alone – the state of feeling alone is a consequence of misapprehending the state of being all-One – everything is guided to an ever broader awareness of reality by a greater awareness. In practical human terms, this guidance comes under the purview of the 9th temple, so it is a temple that relates to long distance travels, prophecy and astrology, illumination, magical or mystical initiation and instruction, enlightenment (though significantly this temple only shows our approach to enlightenment and the consequent experiences we will have – our present maturity of consciousness or the degree of spiritual awareness we have is not specifically captured in the birth chart, though it is symbolically inferred by the whole), dreams and epiphanies, gurus and awakening through mentors, philosophy, religion, higher education (in universities, colleges – modern apprenticeship to a mentor), Gnosis, the search for truth, a sense of discovery and adventure, justice, the broad spread of knowledge through publishing, contact with ‘Divine Providence’, the Greater Self, etc. In ancient times this temple was the home of the gods, indicating (among other astrological factors such as our heliacal stars) which deities we would worship and be protected by. It is anything which can broaden the mind or blind it with dogma. The Sun has its joy in this temple as it is the planetary source of illumination. It is especially strong here when we are born in the day as a Fire or Air Sun sign. In these cases it often makes for someone notably pious and moral. Along with the other temples with an affinity for the concept of existence (the 1st and 5th) the 9th reveals our broader attitude to the radiant light of our self identity and the power of life, something fundamental about our identity or self awareness, the 9th being especially about our attitude of learning and growing in this respect. So we can say that this temple governs our ability to learn from life, while the 5th governs our ability to enjoy it and the 1st our ability to live it. These temples are about the experience of being alive and how much we take out of it, and this one concerns itself with learning from life and drawing meaning from it. From a hermetic and astrological point of view, each person or individual is the centre of an infinite universe. The possibilities for learning and for expanding horizons in all directions in this scheme are literally endless (and thus also beginning-less). When we are surprised or astonished by the breadth of possibility in this universe, when our personal horizon of consciousness or awareness expands, we are always reminded of the infinite property of all things, even if we only know it unconsciously – this is the province of the temple of discovery. Metaphorically, then, if the 1st temple corresponds to the direct result of light and heat from a star (the impact of the sacred identity on the local and immediate environment, the body, the clothed ‘I Am’), and the 5th is like the local star or Sun itself (the luminous creative radiation of the power of life and the identity, the creative life force, the ‘I Create’), then the 9th is the dazzling array of twinkling lights in the universe at night (the vaster and greater eternal light of cosmic identity of which our Sun is but a part, the ‘I Discover’). Together these 3 conceptually form what I call the Temples of Existence or the Temples of Life, which have an indirect affinity for the Fire Element as they aspect the ascendant, the source of emerging life and light, by trine or conjunction. The other Triplicities in this model of the temples are the Temples of the Soul (4th, 8th & 12th) which have an indirect affinity to Water and with astral matters; the Temples of the Mind & Society (3rd, 7th & 11th), which align themselves more with the Air Element and mental spheres of life experience; and the Temples of Bodily Experience (2nd, 6th and 10th), the temples indirectly akin to the Element of Earth and more material experiences. These natural biases of Elemental quality, which are the same for every chart, are subtle and are weaker than the actual Elemental influences of the zodiac signs that personally control the temples. If, for example, Libra rises on the 1st temple, the influence of Air will be much stronger than that of Fire over that region of life and we could categorize that temple as Fire of Air. So what we are faced with here is some kind of journey, some kind of pathway through and up into new realms of life experience and existence, to broader and more meaningful realms, whether through travel, education, religious devotion or initiation. The astrological influences from this temple become significations of our contact with the Greater Self and the opening up of broader life experience. These astrological pieces are like initiatory talismans, some of which may be imprints carried forward from former initiation. Primarily these influences will come from the sign which opens this temple, the ruler of that sign and any planets in this temple (whether permanently through the natal chart or temporarily through the 26 keys). Here in the 9th we learn not just a broader definition of what we are but what that means. The sign supporting this temple will tone all our experience of these areas by controlling the processes which occur to lead you to them. The ruler of that sign will bring about revelation through the temple it inhabits, and any occupants will do the same through their sign, parans and aspects. In mundane terms the sign on the 9th temple describes the kinds of learning and the subjects which will broaden our mind and help us perceive things more truthfully, the comprehension of meaning through greater objective perception. This objective perception of the universe is really the entire aim of this temple. In our human world of experience we can more easily attain this objective perception by utilising astrology. Leo, for example, might indicate that any subject that is entertaining, illuminating, cheerful, dramatic or visually spectacular can in some way lead you directly to the guidance of the Greater Self – an objective perception of the universe. We might say that Leo and the Sun and the Sun sign would in that case act as ‘phone numbers’ of the Greater Self and so working with their keys will dramatically broaden your view of the world and place it in a context which is revelatory. Certain places can also fulfill this function: the countries and cities connected to the sign on this temples cusp according to their national or founding charts are probably interesting vacation areas that may significantly broaden your awareness of existence. The strongest connections come from countries with one of the Lights in this sign or which have the ruler of the 1st or 9th temples from your chart in that sign. Remember that when nations or cities go through major changes, the connections move around. Going further with this, in particular those national charts which have the Lights, planets or angles at the specific degree of the zodiac that opens your 9th temple or are nearby to it or anything nearby to the specific degree of the ruler of the 9th in your chart will strongly connect with your 9th temple (assuming you have an accurate time of birth). Since the 9th temple is also about culture we can also look to charts of cultural events for any which have a connection to this degree. This path is part personal (being drawn from your temple positions and rulerships) and part impersonal (this then being applied to the independent astrology present at different physical locations). An even more personal and individualised path is also available, however. All of the objects located in the birth chart can be projected onto a map of the globe showing where they are located for the person. Before the advent of computers this was done by re-casting the birth chart using a new location – the same time, date and so on were used, only the location was changed. This practice is called relocation astrology and in the past charts were usually only cast for a specific location. For example, I was born in London and moved to live in Berlin in 1999, so a relocation chart for that would involve recalculating my birth chart as if it took place in Berlin rather than London (using my original birth time and date). The further you go from where you were born the more the differences show up, especially if you go across the equator – here we see evidence that says if we want to escape some of the binding conditions of the birth astrology we have we should move away from where we were born. With the advent of computers this form of astrology has not only become easier but it has also become more visual. This computerized representation of the same information is an emerging practice called astro-cartography. Using ACG the objects in the chart can be plotted as curved or straight lines (depending on what is looked for). You can check out some more about that here. Opposite the 3rd temple is the 9th temple. The polarity of the 3rd/9th temple is what I will call the cognitive polarity, the blending of intellectual and social cognition with universal cognition. The mental body must integrate its opinions, thoughts, social circumstances and personal ideas (3rd) into a framework of ever broader guiding principles such as morality, law, truth, ethics and the influence of the conscience (9th), and vice versa. Both of these temples relate to our experience of the ability to process cognitive information, to extract meaning and truth from data. In the 3rd, pieces of information are separated and compared, things are broken down into smaller units – opinions and perspectives – and the workings of an idea are examined with the intellect. In the 9th, the pieces are being assembled into a greater philosophical whole; here we are trying to perceive the meaning behind the notions, how it all fits together, the truthfulness which connects them together. The cognitive polarity is concerned with the balance and translation of concepts between specifics and generalities, between the individual and the universe, in both directions. Concepts: Long distance travel, exposure to the exotic or alien, philosophy or faith, belief, the initiatory path, mystical matters, magic and divination, how contact with the Greater Self manifests, education beyond school years, publishing and law. Ancient terms: Place of God, House of Religion, Deus, Theos, the Good Decline. Location: The 10th temple is the region of sky positioned in the space just to the side of the midheaven of the sky, towards the eastern horizon. It is where the Sun moves just before (and when) it reaches its highest point in the sky for the day at that location. Discussion: This is the last of the four powerful angular houses, the places of power – the 1st, 4th, 7th and 10th temple cusps, otherwise known as the ascendant, imum coeli (IC), descendent and midheaven (MC or medium coeli), respectively. The 10th house is the temple of destiny and its key focus is ‘Awareness of Physical Action’. It is the most public temple of any horoscope and its cusp or degree is arguably the most sensitive degree of the entire Earth Zone but is at least second in sensitivity after the degree of the ascendant. This sensitivity is very directly attuned to active manifestation in the external physical and material world, however, more so than any other place in a chart. Planets in the 1st temple show principles we identify ourselves with in the present, while 10th temple indicators show what we hold up as being important or aspire to attain in the future, or well established physical things we kick against, something we seek to become or do and will experience as an active force in our public life. It is the place where we act to directly impact the material world by building a career, pursuing wide reaching goals or influencing society as a whole in some way, often because we feel that it is important to do so and thus this is also the place of the most public visibility, of reputation, how we are seen or the role we play in public life, just as planets in this region are in the most visible portion of the heavens – above us. It shows what is important to us, what we seek to attain or aspire to. Through this temple we have constructed all manner of hierarchies of government with which to implement human laws and hand order and status to physical existence from the top down. In ancient and not so long ago times this region was of importance to kings and heads of state, who would only plan important ceremonials during hours of the day in which auspicious influences like Jupiter were active in this region of the sky. Nowadays it is less well known, but governments, corporations, banks and individual politicians still use the same or similar tactics (much more advanced ones, actually), with great success, all over the world. The question of why nobody talks about this is easy to answer without referring to conspiracy theory. The nature of astrological practice today is, to be blunt, that many clients with high status in society are embarrassed to admit to consulting it as many fear consequences for their reputation if such practices were to be disclosed. For their part, professional astrologers respect clients wishes and do not reveal their names – their business depends on it. On a personal level the 10th temple is a place of ambition and striving for recognition and material status or occasionally of just being born into a ruling or privileged class. Its power to create physical circumstances extends to our bloodline through the status that automatically comes with the family we are born into; the 10th connects by polarity with the 4th temple. In astrological lore, we are taught that the 10th region of sky is about all the overt ambitious activities we take on through the physical or material plane, our professional goals, career and natural degree of recognised authority, the respect we command in society, personal social values (our motivations and politics), our influence and place of power in society, what we strive to attain to and so on. It is our crown, our perceived destiny, the place where we ourselves would be in a position of greatest influence and effect, our chosen field of public influence. This isn’t necessarily a profession or career, but is always some kind of calling or vocation that we can find within us and fulfill in the material plane. Generations ago it was this temple and not the 7th that represented marriage, because then who you married reflected much more upon (and was predestined by) your status and station in life, a custom which still stands in much of the non-western world today – the temples are temporal spatial constructs that evolve different expressions of their essential meanings through time and are shaped by human cultures. Some change more than others because our attitudes to those areas of life are more fluid and experimental. Sometimes this place is just handed to us, especially in previous generations when there were things called a family business, a lineage you followed. Many of our more common surnames – Carpenter, Smith, my own surname Coleman – have some roots in this tradition. Other times we are born into a royal line, or a business empire which then becomes a legacy. These things will be shown here, but whatever the case when we learn to consciously tune in to our inner guidance instead of being blindly driven by our desires for ambition or reputation or other external goals, the temple of destiny ‘sheds a skin’ and begins to instruct us in our deeper ‘calling’, our true vocation in material life, which is not an act but a measure of their personal significance. That is, behind our external career goals and ambitions, there are those internal things which we hold up as important, and behind those things, behind the things we want to achieve, there is our reason or motive for holding them up as being important (which is different to what we value about what we already possess – the 2nd), something often based upon our past – the polar opposite 4th temple of memory once more. Its development may thus often be seen psychologically as an extension or consequence of our 4th temple. Sometimes we are just born into a bloodline that has ruled for centuries, sometimes we have experiences in early life which we never truly escape, but we always act from the foundation of (and often adopt ambitions, political leanings and careers for ourselves) as a rebound or reaction to our childhood or parental influence, our memories of the past, and we shed or adapt this early foundation as we attain to the goals of the 10th temple. This is thus not where we have come from in life it is where we are destined or bound to be going, often as a consequence. That word destiny is problematic for a lot of people. It is not meant to imply a fate from which you cannot escape, but one which you will not escape without some sort of conscious change of direction. It is the ultimate destination of a chosen direction or course, the innate ending of where a path must by its nature lead. Factors in the 10th temple will be inevitably encountered on the road to any goal, ambition or career, no matter its form. What we have control and influence over here is the specific form that they will take and we are often given a very generous space in which to do so because astrological symbols are rich with potential – one Sun in the 10th temple in Cancer, for example, may become a cook, another may choose to take care of children. Both are responding to the destiny described by Sun in Cancer. Importantly, at least in my experience, it is therefore more helpful when approaching this temple to instead think outside of the box, in terms of what will not work for you as a career choice. For example, it is unlikely that any Cancer Sun will enjoy being a bomb disposal expert (too much high tension and danger) or an exotic dancer (too much exposure). Exceptions to such general rules will exist but will be exceptions arising from other chart factors. The 10th temple differs from the 6th in that it shows our overarching ambitions and personal goals, while the 6th shows our service or employment which does not further our ulterior goals directly. An aspiring artist (for example, Libra on the 10th) may work for a time as a kitchen assistant, as a nanny or kindergarten teacher, or as a nurse (Cancer on the 6th), for example. If she or he has Venus, ruler of the 10th, in Cancer in the 6th, these inclinations will apply more forcefully, and it may in fact turn out to be that persons true calling – a job that genuinely fulfills them – to work as a nurse or a kitchen assistant, etc. However if the same persons Venus is in Libra in the 10th, the inner call to be an artist can be far stronger and they will tend not to make such adjustments. Also, if the ruler of the 10th temple aspects the midheaven, Sun or Moon or ruler of the chart, its influence will be very strongly felt on life as a whole but in the career in particular and if it aspects the ascendant, Sun or Moon then this whole area of life will be taken much more personally. The aspects involved in both cases are characteristic of an ease or difficulty in realizing ones goals in the physical world. So the placement of the ruler of the 10th in the chart strongly accentuates the expression of this temple. In other words, if whichever planet rules the 10th is elsewhere, it will tend to show a modification to our goals and to where we actually end up career wise. If the ruler of the 10th is in Libra or the 7th, it may be the chart of a relationship counselor, for example. The sign on the 10th shows an approach or attitude, the ruler a direction, and the planets in the 10th are often representative of important goals, events or people. This applies as an approach to every other temple according to that temples own essential meaning. Finally it must be understood that the influence of signs on the temples should not be taken too strongly. They are best thought of as general inclinations that may be easily offset by planetary forces. The influence of signs on temples is not a potent one, its often cosmetic and connected with an inner role than an outer one, at least when compared to planets that rule or inhabit that temple. The sign here does not necessarily describe our profession, although it might (and then not by mere chance); it’s more accurate to say it shows our vocational attitude, approach and the kind of experience we have rather than our choice or type of profession, although this will be inferred, of course – someone who wants to help and heal people is more likely to become a doctor but they may also become a musician, a research scientist, a builder or a psychotherapist; it is the inner attitude that this temple depicts, but the outer form often follows in typical ways. However, planets found in temples exert far more potent effects over our choices than the sign does, and especially in the powerful 10th. The 4th/10th temples are the temporal polarity because they relate to past memories and important future ambitions, which are where we come from and where we are going, respectively. In other words they relate to our experience of orientation in time, our perception of both our past and our anticipated future, the vertical axis of power which bisects the horizontal axis of the identification polarity of the 1st/7th, creating the cardinal or primary realms of experience which turn life on Earth – identity bisecting and moving through time (and vice versa). We move through time with our memories beneath and our ambitions above. An imbalance in this axis will result in both an inability to learn from the past and a lack of awareness of where your life is heading overall. Concepts: Ambitions, what is important to us, goals and future plans, occupation, reputation, public eye, professional role, physical impacts, authority, government, perspective (from assuming a loftier position). Ancient terms: Place at the Peak, Midheaven, the Crowning Place. Location: The 11th temple is a region of sky positioned midway between the eastern horizon and the zenith of the sky, the midheaven. It is roughly the portion of the heavens midway between the eastern horizon and the zenith of the sky, in other words, looking east and roughly 45 degrees up from the horizon. In the course of a day it is the ‘mid-morning’ temple in which the Sun and other objects have risen, broken free of the horizon, and are now ascending to the top of the sky. Concepts: The 11th house is the temple of fellowship, companionship, alliance or hope and its focus is ‘Awareness of Mental Security’ because its activities put the mental awareness in context with something like itself but broader and more inclusive, through sharing and connecting. We can say it takes the raw opinion, hearsay and ideas out of the 3rd temple and translates them into societal and intellectual ideals, things we share with others that lend us a sense of social and mental refuge – a sense of collective group awareness. This region relates to our allies and friendships, our sense of common purpose, our societal ideals, our role in group dynamics, wishes for the future and hopes (social conscience as well as social fears); it is where we seek and aspire to find a sense of a better future which is not our creation alone but which harmonises with those of humanity as a whole, and it is where what we have put out into the collective (the creative light of the 5th temple) comes back to us, for example as audience appreciation, applause, offers of assistance, recognition of our gifts, etc. It is about comprehending that we rise or fall together and that what we share will return to us, the place of reaction to our efforts. It is the temple of cosmic allies and was called ‘Bonus Spiritus’ (‘Good Spirit’) by Ptolemy and other early writers. Hellenistic astrology and later Renaissance texts mention a Good and Bad Genius (Bonus Spiritus and Malus Spiritus), and a Good and Bad Fortune (Bona Fortuna and Mala Fortuna). These are the 11th and 12th, and the 5th and 6th temples, respectively. The Good and Bad Spirits are above the horizon (thus of the spiritual world) and the Fortunes below (thus of the material world). What makes a temple ‘good’ or ‘bad’ in the view of the ancients is both its position relative to the 1st temple and ascendant which is the source of light and life and whether it is angular (the most favorable places, the 1st, 4th, 7th and 10th), succeedent (the next best category, the 2nd, 5th, 8th and 11th) or cadent (the worst places, the 3rd, 6th, 9th and 12th). Jupiter is in its joy in this temple. Jupiter’s essential quality of empathy and commonality and its emphasis on widespread or shared growth is given a natural place when it comes to working together with others to achieve a common goal in a spirit of camaraderie. Jupiter is also in its joy as the planet of faith and mercy in a temple which is connected with spiritual fortunes. Lights, planets and other celestial objects placed within or connected to this temple generally bring many benefits and often much welcome assistance, but are not entirely providential – sometimes they assist us in unwise ventures. And an alliance always goes both ways. In some ways though it is an even more auspicious zone of the sky than the angular 10th temple, which brings professional status and recognition or attainment and influence, a certain favour of destiny, sometimes by birth. By primary motion planets in the 11th have risen in the east, already extricated themselves from the obscurity of the 12th temple, and now have a place to climb and an ultimate prize to aspire to, whereas objects in the 10th are ‘already there’ and can only really go ‘down’ from there, sinking rapidly into the west. Therefore any planets and influences in the 11th (by birth or temporarily by the keys) are considered to be our friends, influences which extend a helping hand up the stairwell of the sky into the realm of our aspirations and will tend to lend us aid in manifesting our wishes and hopes for the future, especially when they are not ours alone but belong to a group of individuals connected by their shared hope or purpose – when they have scope and scale. In such situations we are befriended by that planets essential meaning and furthermore its power increases swiftly as time passes and the more it gives away recognition for itself to a shared recognition of achievement. The planets and other influences in this temple reach out or down with benefits to help us through or up to the fulfillment of our wishes but they withdraw when we reach for glory just as group dynamics suffer when one ego attempts to hog them. Here then are our allies and our ability to attract them. Our (secret, hidden) enemies follow, in the 12th, while our public (known) adversaries are sometimes described by the 7th (astrology regards known rivals and enemies and marriage/relationship partners as analogous through the 7th temple, as both are considered ‘significant others’). ‘Allies’ and ‘friends’ do not necessarily imply ‘pleasant associations’, however – as Oscar Wilde said, ‘A good friend will always stab you in the front’. It’s those good friends we find here, the ones who stab you in the back belong more to a 12th or 8th temple experience, perhaps, but we must not lose sight of the potential for secretive betrayals or ideological and political power struggles, perhaps indicated by a troubled Pluto in the 11th. The other temple related to the intellectual and social sphere, the 3rd, governs our more immediate communications and perceptions, our interactions with neighbours and siblings and the local environment, whereas the 11th specifically describes our more global interaction with wider human society, its reaction to our performance, our larger ideals and those who share a dream of some form with us, the groups we will freely interact with and the close friendships we have. We might say, the 3rd is our personal neighbourhood (guy upstairs), the 7th our closest partners or opposite numbers (a lover), the 11th the more wider social network we connect with (our buddies), our often more deliberately cultivated group memberships, the people that like us and with whom we can form common bonds which benefit both parties. If we are a performer, this is the audience. If we are a politician, this is the electorate. If our work is about other people, here are our networks. If we work in a team, here is the group and our interaction with it, regardless of the individuals who come and go from it. So while the 10th is often – like the top – lonely and highly vulnerable to a spectacular fall, the 11th is blossoming with ‘good spirits’ that surround us in mutual interest and offer the protection and advantages of a herd. Being a mentally and socially focused region which lies opposite the 5th, the temple of creativity and self confident expression or radiation of life, the 11th temple is the audience to the performer and performance of the 5th. It not only represents ones allies and ability to make friends, it also represents the ability to connect with ones audience and to involve oneself with the wider social and mental network upon which we all depend, the human collective awareness; thus, all our group interactions and our interpersonal group dynamic as well as the socio-political world we find ourselves living together in – the capacity to make friendships. As the creative light of the 5th temple – the joy of being alive – is ramped up and shines out more brightly, as we truly radiate our unique light of Self creatively in life, energies are set in motion in the 11th temple which produce a reaction from the human collective mind and draw in feedback and allies who share compatible visions. And it is a temple which focuses on hopes, wishes and ways in which the human condition can be improved for everyone in the future, a temple of idealism, of shared tomorrows. We find broader meaning for our life and self identity in the 9th and we find our loftiest objectives in the 10th, but it is the 11th that gives us purpose and hope, which are sacred ingredients in any enjoyment of 5th temple pleasures. A life that feels without these things will have issues to work through in this temple. A life with too much invested here will be over committed and overly idealistic in some manner. The sign here shows our approach and the kind of experience we have in all these areas, the basic way in which we process the 11th temples array of experience. Its ruler may be considered a planetary agent who can put us in touch with the right people, so that if we work with its essential meaning we will meet people or situations which can help us move up in life and will gain numerous benefits. The same is true of occupants of this region. However, in either case their effect is better when the planets dignity is strong and its aspects supportive and not too challenging in order for you to be naturally open enough or positioned with enough support to receive the assistance. If any of these conditions are not satisfied lessons sometimes need to be learned before you become open to receive and accept help (or the right kind of help), lessons which frequently involve idealism and hope, the need for company and audience appreciation or sometimes in overcoming social inequalities or handicaps. What is the dark side of the 11th temple? Apart from being without the support of friends and a group we can belong to (exclusion), or being left to cope without hope and a sense of purpose, other possibilities are inherent – peer pressure can dominate behaviour in an unhealthy way, herd mentality and ideological drives may consume the focus of life with whimsical and unrealistic goals, socio-political movements can sweep us up in a total loss of identity, friendships may actually be the kind that help you get on by hurting you or may lead to endless drifting from one group to another, our dependence (or the lack of it) on a philanthropic group such as a charity organization can become problematic, we can become lazy because we have fantastic allies doing everything for us – there are many ways in which the beneficial help offered by this temple can wither on the vine. The key to avoiding them all is to find within you the future intentions that inspire you to be hopeful, share them with others of like mind, and work to ground that shared vision into reality by focusing on that goal when working together with these people. It is not something that will just magically arise like a gift from the heavens, and it is not something that will take place in the future either – that way is the way of hoping for a miracle – it is instead an ideal that becomes more real in the present through the activities you undertake in this temple with others who share the same or similar intentions for our collective future. The 5th and 11th temples are what I call the co-creative polarity, the axis of individual and collective expression. The polarity of these temples can be described as ‘creating/giving’. Like the 11th, which governs shared goals, utopian hopes and images of the future that are shared with others and have somewhere to go, the 5th is also a temple of hope and vision, but of a fundamentally more internally self centred, private and personal kind. Rather than the global hopes represented by the shared goals and broad ambitious visions of the 11th temple its opposite the 5th is more like the private hope that lies behind every work of art, and every new-born child, a more personal expression of hope and the best qualities in humanity. The 5th is often very strong in those motivated to seek fame for instance (or even notoriety, as some do), as a means to establish lasting security for the identity through creative powers and works of art which outlast the mortal span of the personality, while the 11th seeks a kind of collective fame, the fame of a group and its ideals being realized. The connection between the two temples is also displayed in the way the ideals of a society shape its arts, and vice versa. This axis is therefore concerned with the levels of experience that create security for us in the intellectual/social and identity areas. The 5th -11th division of the sky (pleasure/hope) gives rise to our potential for focused creative and co-creative stability; it delineates two zones or temples which share a common function of delineating our relationship to enriching life and society; the 5th temple expresses the creative potency of our own unique identity and its life – what we have to contribute; the 11th our intellectual or social utopia, our wishes for a shared belonging with others – the purpose we aim to attain by contributing. In finding the balance and eventually the equilibrium between these two focuses we uncover not only important parts of our role in life, the larger society and the human collective awareness, but also our own power to influence it. Concepts: Hopes, friends, gifts, community spirit, group contact, political and ideological views, networks, audiences, contacts, allies, dreams and the collective movement to Utopian ideals. Location: The 12th temple is the zone of sky above the eastern horizon where the Sun appears to rise every day. It is always dim and cool at this time of morning, with nature reflecting upon the passing of the caress of the stars at night, but with a promise of bright new beginnings dawning. This is the spirit of the 12th. Discussion: We have come to the final segment of the heavens having traversed the sky from the eastern horizon (the 1st temple), descended below the Earth (reaching the lowest point underneath us at the 4th temple), emerged again at the western horizon (at the 7th temple) and continued round past the midheaven of the 10th temple to descend again towards the east. The 12th temple lies adjacent to the 1st temple and is separated from it by the degree of the ascendant. However unlike the 1st temple the 12th does not have a fortunate reputation in astrology. Traditionally it was seen as the temple of curses, madness, witchcraft, devilry, imprisonment, chronic diseases or plague, slavery, secrets and guilt along with the notoriety, shame and fear associated with them. I will attempt to explain this perception in the following discussion. The final sky zone or celestial temple is what I call the temple of undoing or the unseen, the ‘temple obscura’; it is the temple of the hidden enemy and of shadow and self-undoing, and its essence is ‘Awareness of Astral Body Learning’. It is where we are not fully (or at all) conscious of ourselves because the astrological influences are invisible or concealed. We do not see and so we trip ourselves up over them. At the far end of the spectrum from the conscious self identity of the 1st temple, the 12th is our astrological blind spot, the subconscious and unconscious identity. It is here we are required to retreat, dive within and work in isolation on ourselves, transforming by merging with our essence, in short the place of self liberation from all our hidden contents. It is fundamentally a place of unfinished business and self development left over from previous lives, but the focus here in the 12th is on bringing these to closure in readiness for…something mysterious. We experience it most directly pressing in on us when we are utterly alone, and ‘far from the madding crowd’. The Mystery looms large when we stand before it in isolation. Saturn joys in this temple. He becomes more Saturnine as his essential qualities are supported, specifically his esoteric astra-mental influence over the formation of matter and his connection to time and karma, but on a more mundane level it is because we are often felt to be all alone even when surrounded by people, and this condition seems fixed and immovable but is in fact just maturing very slowly. The centre of stillness is always in motion. It is traditionally an abode of ill-omen, misery, bane and toil, an alien sickly place where any object is toxic or dissipating in strength, doomed to captivity or to climb and not know recognition, power or attainment. The ancients viewed this realm very superstitiously, assigning it a cursed association – the ‘Evil Spirit’. Part of the reason for this is because of the low visibility of celestial objects just above the eastern horizon. Visibility with the naked eye is an important factor in astrological effects. Planets which are so visible include all those out to and including Saturn. Although Uranus is at times faintly observable, planets beyond this distance cannot be seen by the naked human eye and thus cannot influence the human world of the Earth in as direct a form, they manifest through abstractions, collective will and the Akasha so their influence cannot work upon the physical plane directly but must mediate with it through the astral and mental planes. In this connection it is worth meditating on the discoveries of quantum mechanics and the significance of the observer. Not only are potentially visible planets blocked from sight by any features on the landscape, but their power is also said to be obscured and weakened in this place because when the Sun rises here any stars or planets in the region are rendered invisible, combust in the solar radiance, so they will not be seen at all day or night until the Sun moves on. In fact the entire spectacle of the night sky gets extinguished here, obscuring the heavens completely from our view. Thus the degrees above the ascendant on the lip of the eastern horizon (beyond 5 or 6 degrees of the rising degree) are thought to be especially dis-empowered and even evil, for here the influence of forces wanes dramatically because it is struggling to become visible. The same was also thought to be true of any planets found near the Sun anywhere in the chart. Thus, though it may be empowered, such an object is engaged in a struggle to be seen or noticed – it is obscure. Just as the Sun rises and climbs through this region at the break of day, its light and heat only a fragment of its true power, planets in this area have had their moment of morning glory when they touched the world as they rose on the horizon in the east; now they must only work hard and invisibly to rise up to the zenith of the sky, at the cusp of the 10th – here they are all embattled in that process of breaking away from the horizon, seeking to become more visible, seeking assistance in manifesting themselves, assistance they gain when they reach the 11th through primary motion. Thus the 12th temple is about our blindness, our sense of clueless isolation, our invisible or hidden flaws and weaknesses, our invisible struggles, the blindness in us or the toil which we must rise above and which can foil us and strike, venom like, inducing altered states and self undoing or alienating us from others. An important thing to remember when considering this temple is that its baneful, hidden effects are of a temporary or temporal nature. Objects which are obscured or battling to arise here will eventually appear; hidden enemies (12th) eventually become known enemies (7th), prisoners and patients eventually escape from their institutions (even if it is only in death) and inevitably any unconscious patterns must rise to the conscious mind through the subconscious. In other words, there is a quality of things surfacing or rising up in this temple, which differentiates it from the 8th and 4th where such things tend to stay buried. Planetary activity here can also lead us to involvement with institutions where things are hidden or people spend time in isolation such as hospitals, jails, libraries and the armed services (which can remove and isolate people from the rest of the world and contain people invisibly), or to experiences with subconscious fears, self perpetuating curses, hidden enemies, the secrets we’d rather not anyone ever find out about us (but which we are keen to uncover in others), the things we wont admit to ourselves, hidden occult groups, sacrifice, unredeemed karma (i.e. stuff we inwardly knew we should have done but did not, or stuff we know we should not have done but did, for whatever reason), and in some cases with forms of redemption or selfless service to humanity and the consequences of decisions in previous lifetimes, hence it comes to be linked with superstitions, ‘curses ‘ and ‘evil spirits’. Through all of these things we come to know the contents of the temple of the unseen. It is a chaotic place of jumbled, unknown disorder, a place where there exist only entombed premature energies not yet fully recognised by the conscious being, a storage space for guilty secrets and hidden vices, but through exploring and consciously working it out we come to know a blissful release from its bindings and experience self liberation from mysterious feelings of persecution. Many people perceive it as a way in which the world is out to ‘get’ them (a persecution complex), and this is especially typical if Pluto or Neptune is present or activates the 12th temple key. In the 12th we find all the matters which our conscious awareness has neglected to garden – an inevitable reality of incarnate life since conscious awareness is infinite – and so here we find many mysteries and very few solutions to them. In fact we might say there is only one solution to the problems of the 12th and that is transcendence. Indeed it is this temple which yields us a direct offer of transcendence, a merging with the all and a resolution to things that have been left without closure, by simply atoning for them and then rising above them, moving on with grace and acceptance. In this temple we can assimilate things and atone for and gain freedom from the results of past actions. We can correct our mistakes and may even at times undo them or rise above them. We can begin to start over. So it is very much a temple concerned with internal shifts that lead to transcendence of all kinds. However, this process is often made difficult by the meddling influence of our own blind spots, the unconscious and subconscious, unless the nature of the subconscious is no longer so hidden from us through the application of our conscious awareness, then we can use the subconscious to consciously glimpse things in deeper and deeper parts of the unconscious. So the task for us here is to make it so and transform the subsconscious into an ally and the first task in this process is to examine its nature. There are two very powerful and reliable ways to know this relatively hidden part of oneself – one is to isolate yourself figuratively or literally, and notice who or what you become when no-one else is around. A question often posed by the 12th is “who do you become when you are completely abandoned, physically and astrally alone in life and stripped naked against the storm?” To know ourselves we must encounter ourselves nakedly. In the 12th we can discover that being alone is a short perceptual step away from being All One. This is the magic of introspection and of meditation and self contemplation, the foundational work of all magical practice including the creation of soul mirrors and magical equilibration in hermetic praxis. It is initially plagued or cursed by subjectivity and lack of clarity, but as we look within things emerge and become more apparent. However, this is a completely private insight that cannot really be perceived by or shared with anyone else, although we can communicate part of it. The other method allows not only you but anyone an objective but symbolic insight into this subconscious character and it is astrology, the cosmic mirror. The sign on the cusp of this temple reveals something only astrology can do in the way it does, for all to understand – the essential meaning or character of this hidden place in each individual. It holds a zodiacal mirror up to our blind spot, a blind spot within us which is ever hidden from our own sight and yet seeks to be owned and reintegrated as us through its continuous interaction with the consciousness (the cusp of the 1st house, our ascendant), a process which is ultimately experienced as total self liberation. This part of the heavens is not cursed at all; on the contrary, it offers us the gift of insight and a blissful release from those things which are our greatest undoing. It is principally humanities fear of looking within its own soul and its attribution of responsibility to the gods and fates rather than to conditions of its own inner world that has given this temple its cursed reputation, for if we do not face these things, they will manifest in our undoing and they will behave in devilish ways. We must remember that there is an unconscious, which by definition we have no awareness of, and a subconscious, which we have some partial awareness of, and that the 12th temple is concerned with both. 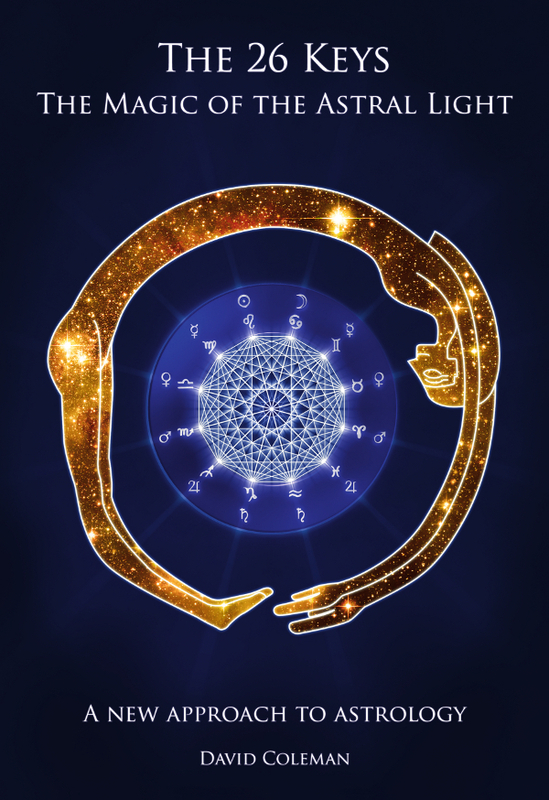 If we wish to attribute a rough astrological zone for each we can choose the beginning of the 12th temple up to its middle and the 12th temple key itself as the core of the unconscious and the 10 degrees or so before the end of the 12th temple and the start of the 1st temple as the subconscious zone. The 12th temple is not the only place where we find unconscious and subconscious patterns – in fact they permeate the entire chart – but here we are looking at major features, how to deal with it, the foot we can gain in that door, and how it generally looks if we do not, and these two signs and their inhabitants and rulers are our primary clues. So, returning to the nature of the 12th temple, ultimately from an astrological perspective this region of the sky and the cause of self undoing in our lives are chiefly a lack of conscious connection to the Element and the sign and the planetary ruler of this temple along with its inhabitants. It is a manifestation of the gulf between our conscious and unconscious intent, a realm of awareness we call the subconscious which is often harboring guilt and shame, failure, denial and self persecution for our misdeeds and weaknesses, and when gazed into it seems to be a void that appears to us to be infinitely wide but since just a shift in attention is required to traverse it, it is never as insurmountable and futile as it appears to be. For the magician, this transformational magic of the subconscious is done in stages, step by step, as the initiate actively transforms the unconscious into a more conscious, magical perception of the universe and works on themselves to transform the content revealed. For the mystic, it is more yielded to, fallen into, immersed in through transcendental meditation and allowed to encompass and envelope, and then passed through, let go of and released on a voyage into the infinite essence of essences. Steven Forrest (a practicing Buddhist as well as an astrologer) refers to this as a merging with pure consciousness but to me as a magician it is more than that, it is a merging with the incomprehensible truths that consciousness is capable of apprehending even if it does not have the capacity to communicate them to any other awareness, and it is the puzzling journey of somehow evolving a way of bringing this insight back to reality, making it useful. For most people nowadays therapy and counseling serve a similar role. By whatever method used, when this journey is embraced there is a conscious intent to engage and transform the subconscious and there is then a change in emphasis in this temple, as it becomes a focus for a different kind of un-doing, not the undoing of the self through behaviours which trip us up but the undoing of the illusory attachments to our concepts of ‘self’ through meditation and magical states of consciousness which flow from and into an infinite point on a journey of transcendence. We also draw close to the temple of the unseen when we are left with whatever haunts us when we are alone or adrift in deep trance states. All these approaches achieve the desired effect, which is to bring one closer to a state of unified communion and ultimately peace with all the astral materia we have no other way to grasp or bring conscious control to. The 6th/12th temple polarity I call the essentialising polarity. It is about extracting the essence of learning on the physical and astral plane and its two positive poles of activity can be summarised as “being here now/transcendent bliss”. On the one hand, the 6th temple calls us to focus on the mundane now moment we are in physically, but the 12th draws us away into fantasy, dreams and escapism, the astral and mental realms, eventually leading to self undoing, spiritual liberation and transcendence of the physical realm. The two – being here now and transcendent bliss – are obviously polarised from a human point of view, but the polarity they express is unified in the magicians’ awareness because being focused in the physical now is the point of access to magical and mystical awareness and objective perception. This is reflected in the initial lessons of IIH, in which Bardon begins students out on the simultaneous processes of introspection (12th temple) and awareness of the mundane moment and care for the body in physical life (6th temple) during the first step. So it is fundamentally about the relationship we have to walking a physical path as more than physical beings and the process by which existences are tied together through the essential lessons they impart about the mundane and spiritual. Concepts: Meditation, mysticism, reflection, isolation, chronic or mysterious illnesses, failures, closure, what happened to mum when we were in the womb, redemption, salvation, redemption, sacrifice, martyrdom. Ancient terms: Malus Spiritus, Bad Spirit, Pre- Ascension of the Hour Marker, Place Between Worlds. Sadly i need to say you do not make good job in this post. You have this manner to use too many words and text is too sloppy. From magical point of view you are simply wrong on too many things to count. You should first really made first 3 steps of IIH. I know you need money but really who would pay for that! This post is more of an uninformed personal attack than a constructive criticism, but I will respond to the part that is worth responding to. Sorry you did not enjoy the work I put in, my writing is not for everyone and that doesnt worry me. I realise that some (seemingly most) people have attention spans that only last as long as postage stamps when it comes to online blogging, but thats not my fish. So yes, many words, 9,000 of them in this last month and an average of 7000 or so each month per topic for several years now. I get less than 80 euros for 2-3 days of work on this journal. If you think I do it for money, you are crazy! I dont need this money. At all. For most people, the work I put in is free every month. As far as I am concerned the financial support is about people valuing astrology, which is something they actually need to do more of in my view. I would like to know why the 3rd Step. And not the 2nd for example. Or the 1st. Or the 8th. For what I know, when a person has the Elemental Equilibrium in her astral body, she doesnt create bad feelings to other people; she doesnt use words to hurt other people; she is a peacemaker, putting all the effort to bring peace and harmony around in the world, using her physical, astral and mental bodies. She doesnt attack other people. She uses Love and Mercy to let other people understand if they are wrong and she uses all of that in accord to the personal evolution of the person. I am really sorry to read words like you wrote to a person who is celebrating Astrology in every single free article as David is doing. So now you see attack…. No it is not personal, you just have tendency to construct very long sentence for few bits of facts. If not for money than why do you do it at all? For attention or maybe you fell you are such an important person, don’t you? What you wrote it is not about magic, it may be about some kind of mysticism based on astrology so perhaps some kind of beings asked you to make it? If so than why did you agree ? Not sure you perceive how you come across, but others do. I would have to disagree with you about a lack of factual information on this site, take a look at the numerous articles on planet X in sign Y, they are full of painstakingly gathered historical facts. In fact this is the only place I know where you can find that level of factual backup for astrology. If not for money then why? Well, I’m sincerely sorry you don’t undertstand from my last reply the concept of someone doing something for love or passion or to try to help others understand things, nor the concept of doing it for astrology itself. If I did it for attention you would see my photo on my book and everywhere I could put it, so look again, it’s intentionally not often provided because I don’t want to detract from the words I share. I would happily debate magic and mysticism and the difference between them with you, except that I think you have already made your mind up and you have an attitude for some reason. The system in my book is my own creation, and there is no other agenda than my desire to share it with people who can make use of it in their lives for their own betterment and enjoyment of life. THAT is my payment – seeing people enjoy more and feel happier in their lives. One day I hope you will be able to embrace it – the concept of sharing for these reasons, I mean – for yourself. Thank you David for this deeply insightful work. Amazing. Truly inspired words on the 12th temple holding collectively sorely needed wisdom. Blessings! Thank you. The words I wrote on the 12th temple do seem to be helping a lot of people. From our previous discussions (both here and offline) I assume that these refer to the functions or responses needed from the individual to the effects of planets in the cardinal, succedent and cadent houses. If this understanding is correct, (if not, correct me!) “security” is puzzling. Do you mean to say that planets in these houses bind (or secure) the native to something? (this makes sense for the classical interpretations of 6 and 12, certainly, and with some stretching, to 2 and 8). Question 1: What do you mean by the word “security”? In terms of the previous discussion in terms of action and learning preceeding or succeeding the other, I thought that planets in succedent houses involve the native in a balance of learning and action, with give and take among the planet and native proceeding in parallel. The second set is a bit more opaque than the first. On the one hand these seem to correspond to the classical elements in the astrological sequence, Fire, Earth, Air, Water, in which case I have a minimal (understanding of what you imply, but they also seem to correspond to the ‘bodies’ Franz Bardon talks about in IIH (which I have started reading). But he talks about only 3 , physical, mental, astral. Question 2: What is ‘existence’ in your philosophy of astrology? Does it correspond to the fire element? I have no magical training or understanding of magical theory, other than the fragments I gather on this site, so I could be missing something very obvious. PS: If you think I should take this offline, please delete this. Posting here because I thought others reading these articles may have the same questions, and your responses may help a wider audience. 1) I mean something like the continued effort to stabilise a situation that needs ongoing attention, thus securing it. In the 2nd temple, money requires ongoing attention, in the 5th creativity and our children, in the 8th the regeneration and transformation of our own soul and in the 11th our networks and ideals. 2) In the context above Existence is the overlap between the ‘upper’ mental and the ‘lower’ Akasha. It is a primordial place of Creation via Light. of course, please correct any of my mistakes in anything I post here. No need to ask (though it is nice of you to do so) 🙂 . Really, go ahead and edit as appropriate, My intent asking these questions publicly is to help other readers, and they can’t be helped (and probably will get more confused) if (when?!) I get things wrong! Your answers make perfect sense. I understand better now. In my case, considering I have the 10th Temple in Scorpio with Pluto inside, and Mars conj Jupiter in Libra inside the 9th Temple. Then I could read it like: I have the ambition to bring about deep transformations to people (Scorpio), and it could be through art, working with the law or being a relationship coach (Mars in Libra) and whatever it may be, it needs to reflect my spirituality, world-view and philosofy (9th Temple and Jupiter)… right? Is there something missing? Then Pluto could mean something beyond deepening the Scorpio qualities of transformation and rebirth? Yes this is one possible set of expressions. The words in the quote are just a guideline to help you. They are not “rules”.